It does not take an extravagant show of style, the latest fashion runway look, or an expensive designer brand to make me to elbow my husband and say, "See, you need a basic (insert clothing item here) just like he has, that looks so good!" Because actually, in the vein of the mantra of this blog, it really is quite simple. The simpler the fashion, the simpler the man, the simpler it is to get the approval of the ladies. Buy a pair & wear them every single time you are even slightly unsure of what to wear. As a solid base to the rest of the outfit, I believe a guy almost can’t go wrong no matter what other fashion decisions he makes. No stone wash, no holes, no embellishments, no fancy colors. Just a pair of straight fit, dark blue jeans. Such as these always stylish APC New Standards. 2) A pair of sunglasses that aren’t black Ray-Bans. Last year after Coachella, the organizers posted on the Coachella website a notice that went something like this, “If you lost your black Ray-Bans during Coachella weekend, be advised that so did everyone else so you are out of luck in getting them back.” I breathed a sigh of relief knowing so many black Ray-Bans had been cleaned from the sunny California streets. But it wasn’t quite enough so my advice is that you should too keep your black Ray-Bans where they belong: music festivals and Men in Black auditions. And find another pair of every day shades. 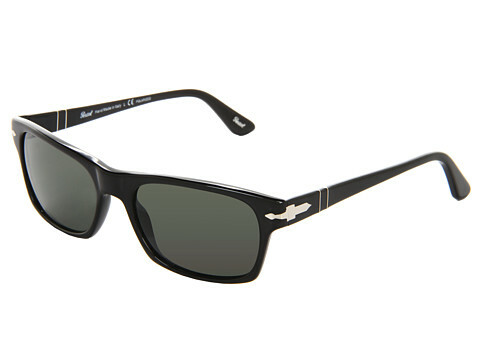 I like these by Persol, but really anything other than black Ray-Bans is a great start. You’re a guy so there is a high probability you are going to do it anyways, so all this lady asks is that you do it with a bit of class. Invest in high quality, plain cotton t-shirts in non-neon colors that you cannot see through. That’s it. If your t-shirt has something to do with sports, you’ve messed up on this piece of advice. If you bought your t-shirt on a brewery tour, you’ve messed up. But your t-shirt has a cute dog on it that says, ‘Pugs not Drugs’? That is cute, but no. In fact, if you bought any t-shirt from a display at Urban Outfitters, you’ve probably messed up. This is so easy to do, and cheap! Try these from J. Crew. Kristin lives in San Francisco with her husband, Chad, and miniature dachshund, Wrigley. She's also a style guru, so you'll want to take her advice.